People from Denmark are genetically similar to each other no matter which part of the country they come from, report researchers in the journal GENETICS, a publication of the Genetics Society of America. 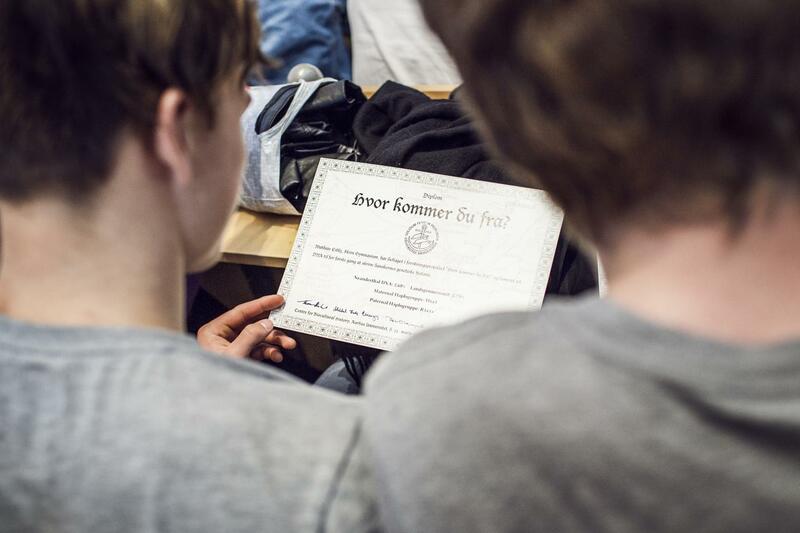 Eight hundred Danish high school students contributed genetic material to the Where Are You From? project, and the data were used to decode population-wide patterns of genetic variation. Although there were subtle traces of the impact of Danish history on genetic similarity between different regions, the study revealed that, in genetic terms and disregarding recent migration in the last two generations, Denmark has a relatively homogeneous population, and people have mixed freely between different parts of the country. "Despite its small size and lack of geographic barriers, Denmark has many distinct dialect groups and has been in contact with neighbouring populations. Having a clear vision of the country's genetic structure is an interesting endeavour," he says. Athanasiadis and his colleagues used a unique method of enrolling subjects into their study. They launched a nationwide outreach project called Where Are You From? in which high school students submitted DNA samples and demographic information. The project also presented seminars for participants to learn more about genetics and basic science with the aim of "building bridges between academia and young students interested in…a scientific career." "The response was overwhelming. We had more participants interested than the budget actually allowed us to genotype!" says Athanasiadis. Despite budget limitations, participants were able to attend the seminars even if they weren't tested. "I personally was surprised to see that all classical methods for detecting genetic 'structure' in populations failed to pick up strong signals. Even cutting-edge methods returned very similar "mixture profiles" for all regions in Denmark," he says.